In recent years, cruise ship companies have come under fire for a number of concerns about sanitation and infectious disease hazards. From sanitation issues to faulty septic systems, cruises can pose a risk to general public health in some cases. At the office of Michael F. Guilford, P.A., we represent people who have been injured at sea, whether as crew members or as passengers. If you suffered an injury on a cruise, call us today. Here are a few of the hazards that cruise ships present for passengers. The Centers for Disease Control and Prevention (CDC) reports that from 2008 to 2014, roughly 130,000 passengers suffered from acute gastrointestinal illnesses, including the norovirus, a foodborne stomach virus that can be contracted while eating poorly stored food on a cruise ship. Under the Vessel Sanitation Program (VSP), the CDC has protocols in place for preventing and reducing outbreaks. 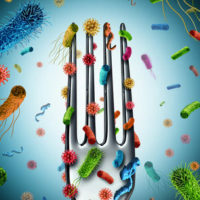 Gastrointestinal illnesses are often spread by foods that are left out too long or that are not refrigerated properly. Likewise, in order to save money, cruise ships have at times reused foods that were left out in buffet lines for long periods of time, often putting them back out for the public over and over again. The so-called “Norwalk virus” can affect passengers who are living in close quarters on a ship. It spreads quickly and can lead to nausea, diarrhea, fever, stomach pain, and vomiting. Fortunately, must like most gastrointestinal issues aboard a ship, it usually passes in a day or two. Salmonella is common on uncooked poultry and can spread quickly. For most passengers it will have little effect beyond stomach pain and vomiting. However, for children and the elderly, it can be fatal. Of course, food-borne pathogens are not the only types of illnesses that run rampant on cruise ships. Passengers with the flu or other infectious diseases may infect hundreds of fellow passengers in a matter of hours, whereas these diseases would spread much slower in the general public. Close proximity, shared living quarters, recycled air, and open food sources can all contribute to the risk. If you suffer from an immune-deficiency disorder, you should probably avoid cruises unless you have spoken to a doctor and they’ve cleared you for travel. For elderly passengers, it is also always wise to get a doctor’s recommendation first. There are many simple health concerns that can be fatal to those with weakened immune systems. The same goes for children’s cruises. If you plan to take young children on a cruise, make sure they are up-to-date on all vaccinations. If you or a loved one have suffered a serious injury aboard a cruise line, you may be faced with high medical costs, loss of income, or worse. You should not be forced to pay these things if the cruise line is responsible. For help, contact Michael F. Guilford, P.A. in Miami today. 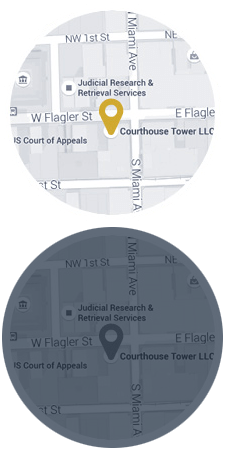 We offer a completely free consultation with a Miami passenger claim attorney to discuss your rights.